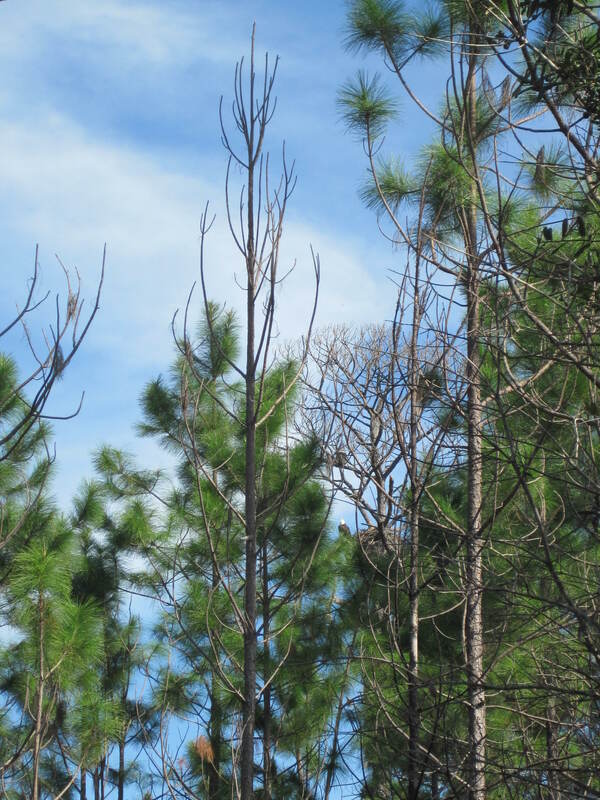 The 5,719-acre Barr Hammock Preserve was bought between 2006 & 2010. 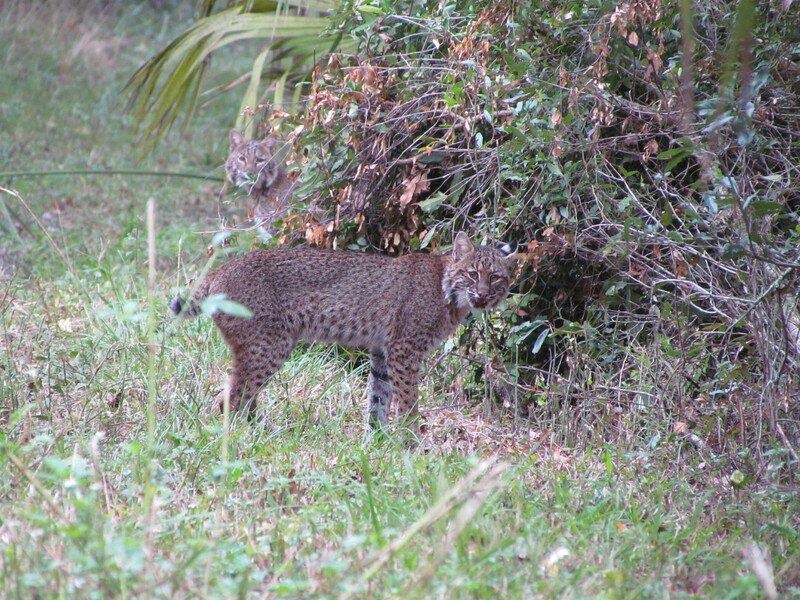 Alachua County provided funding from the Alachua County Forever Bond, and the Wild Spaces Public Places sales tax. 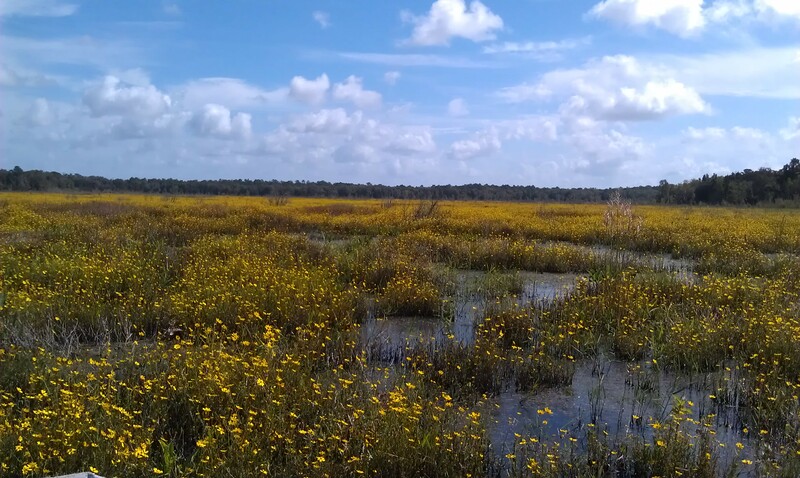 Other funding was through Florida Communities Trust Grants, North American Wetland Conservation Act grants, a donation from the Whitehurst family, and the Southwest Florida Water Management District . The preserve was purchased to protect, preserve and enhance the unique natural and cultural resources found on the property and to provide an enjoyable and educational passive recreational experience. The northern Levy Loop Trail and the Southern Trail entrance. The trails that are accessible from each trailhead currently do not connect. Leave what you find. Collecting plants, artifacts or fossils is prohibited. For your own safety, STAY ON THE LEVEE. Trails are for pedistrians and cyclists only. Cyclists and Equestrian users must use designated trails. Cyclists yield to horses and hikers. Hikers yield to horses. Equestrian users must provide proof of negative Coggins to enter the Preserve (FAC SC-18). Visitors who remain after hours are trespassing. Do not enter closed areas. 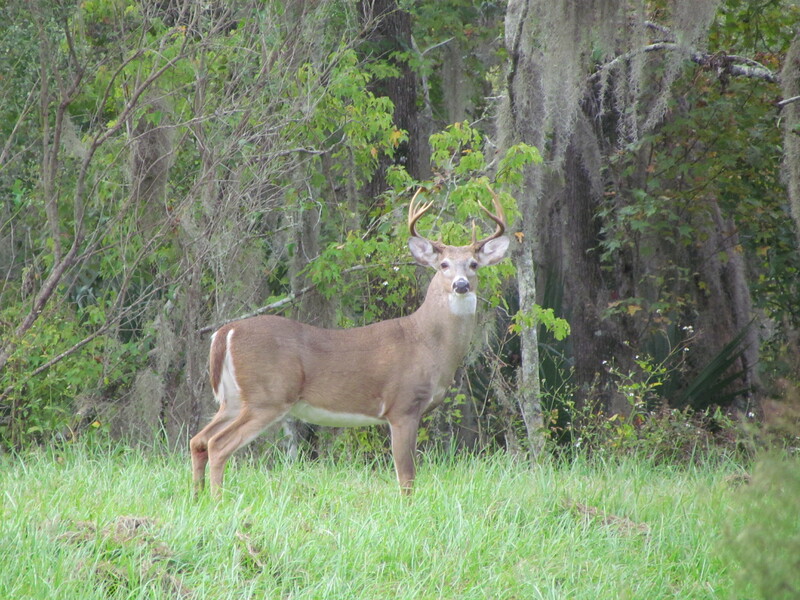 No taking, harassing, or killing of wildlife without written permission from Alachua County. For your comfort and safety, wear sunscreen and a hat, use insect repellent, and carry water. 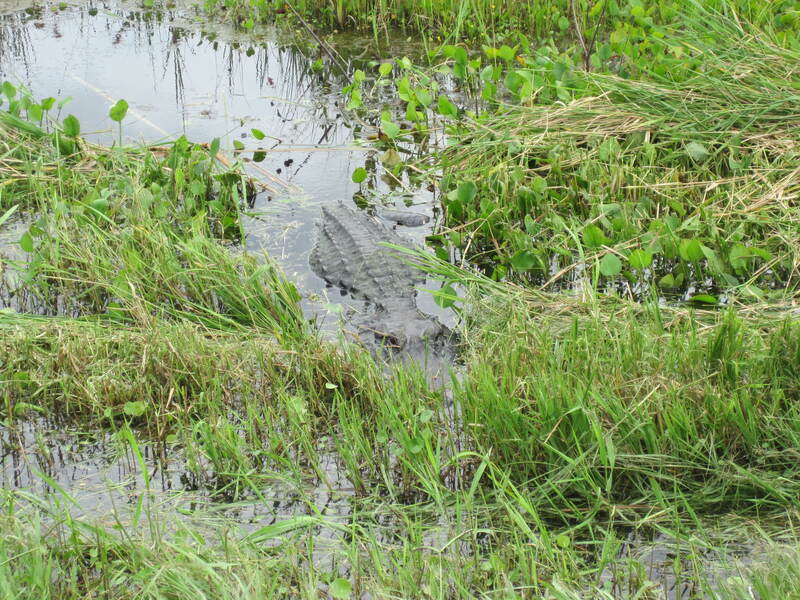 Do not approach alligators blocking the trails. Levy Loop (6.5 miles) – The trail circles restored marsh. Walking the entire loop takes 3.5 to 4 hours at a leisurely pace. A leisurely bike ride takes about 2 hours. Under wet conditions the trail surface can be muddy and uneven. 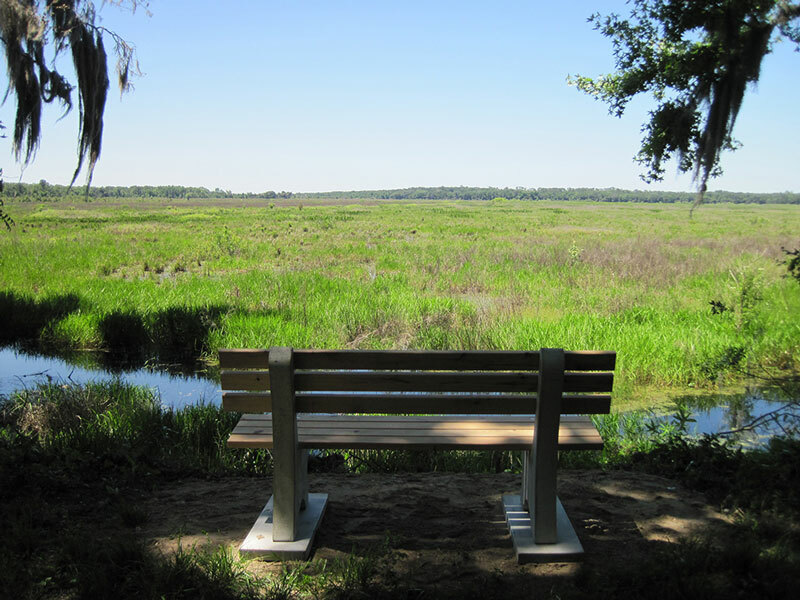 The South Levee Trail provides views of marsh and forest. It is partially shaded for most of its length. The North Levee Trail has neighboring homes for the first mile. Please be quiet and respect their privacy. The north side offers views of marsh and has no shade. Beware of alligators. NO DOGS ALLOWED. 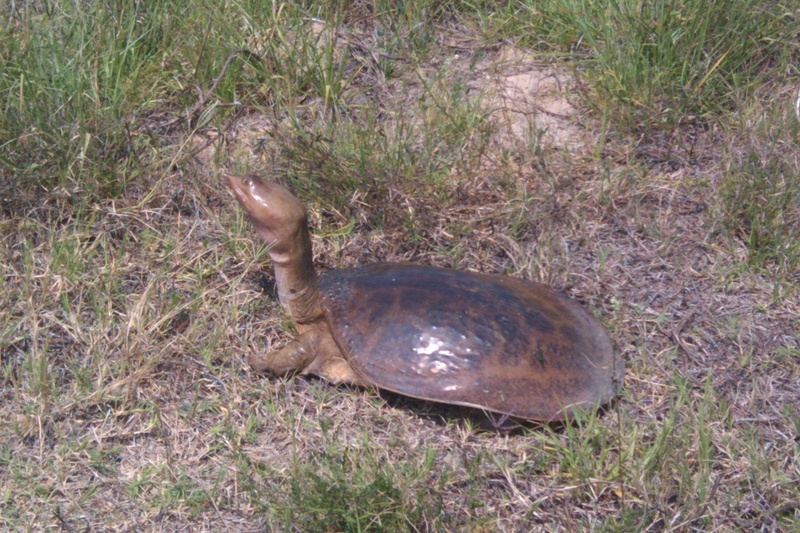 Piney Woods Loop - Equestrian Trail. Round trip length 4.5 miles. This trail travereses pinelands and ancient oak forests. This route is sandy and partially shaded. Bayhead Trail - Cyclist Trail. Round trip from trailhead outer loop is 2.8 miles, shortcut is 2.0 miles. Take a trip through swamps, sandhills, and hardwood forest with views of Still Branch Creek. Still Branch Crossing - Only pedestrians have a loop. 3.8 miles round trip for outer loop, 3.3 miles via shortcut. Bike and horse use to reach Hammock Loop or can travel there and back. The cyclist trail includes a bridged crossing of Still Branch Creek. The equestrial trail crosses teh creek where swamp turns to creek. Hammock Loop - The Hammock Loop is about 9 miles via cycling route and 8 miles via horse trail route round trip from the trailhead. These distances include traveling portions of the Bayhead and Still Branch trail to access the Hammock Loop. Under wet conditions, the back roads will be under water and only Main Road will be accessible. Mosquitoes may be abundant. This is a mostly shady trail sheltered by large old trees. The Landing Overlook ahs views of Ledwith Prairie that may include wading birds or waterfowl and other marsh creatures. No water available in the parking area. No restrooms. No picnic facilities. Trail maps are available at the Preserve or you can request a brochure by email using the link on our contact page. Brochures are available in alternate format on request.